Check Out the Red Band Blooper Reel for ‘The Watch’, Which Comes Out This Friday!!! 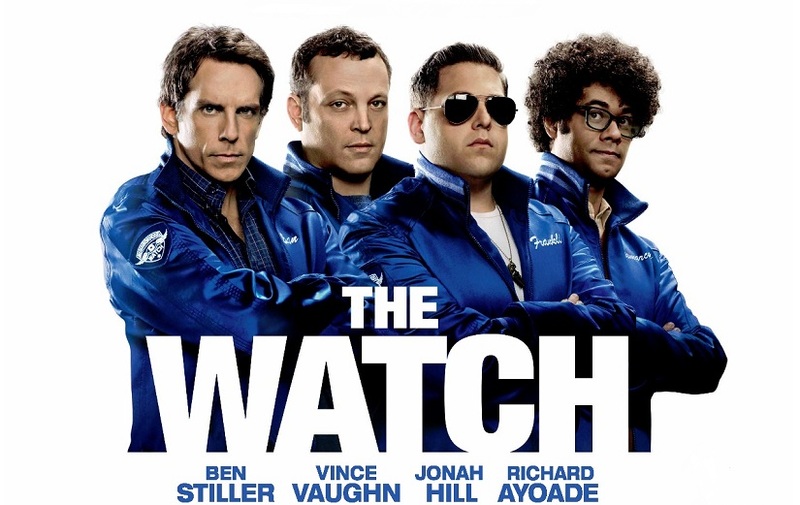 Here is a fun two minute blooper reel from the upcoming film ‘The Watch’ starring Ben Stiller, Jonah Hill, Vince Vaughn, and Richard Ayoade. This blooper reel has tons of NSFW language, so plan accordingly. I saw the film already and should have my review up shortly. Until then, enjoy this funny collection of bloopers on set. Looks like they had fun making this film. ‘The Watch’ releases this Friday. There’s Gonna Be a ‘Dodgeball’ Sequel!!! This entry was posted on Wednesday, July 25th, 2012 at 11:39 am	and is filed under Film, News. You can follow any responses to this entry through the RSS 2.0 feed. You can skip to the end and leave a response. Pinging is currently not allowed. « Bryan’s Must Own Bluray/DVD’s For The 4th Week Of July 2012!!! Any word from the LAPD intelligence? If there IS such a thing? Of course not, because we're a covert anti-terrorist team that is so secret, that when we snap our fingers NOTHING HAPPENS!